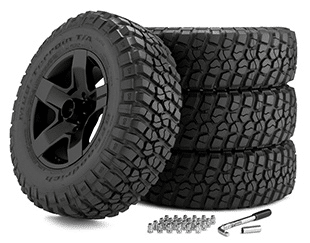 Our 24” off-road wheel and tire sets are the best deal you can find anywhere online for world-class tires and wheels. We carry some of the planet’s most well-respected brands including Goodyear, Nitto, Toyo, Luxxx Alloys, Revolution Racing and many more, so you know that you aren’t getting bottom-barrel wheels and tires, you’re getting high quality at low prices. We include an installation kit with every order, and each set of 24” tires and wheels ships free in the continental US. Questions? Contact our knowledgeable customer service staff. Shop with us today for the largest selection of 24” off-road wheels and tires! 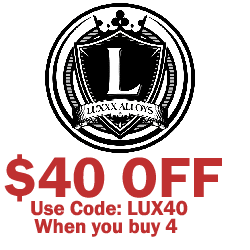 Build 24″ Off-Road Wheels Package and Save!